whenever these kind of rumour arouses,only poor farmer suffers bcz he dont know whether really dr is demand of it or not..u r the one among those misguider who ruins farmer..there is popular man in sgnr who requested d farmer not to sell dr guar beloe 13000 nd from dt day guar never crossed dt figure..after some days he madr a statement dt font sell it below 11000 nd as usual guar never crossed dt figure..nd nw he again stated not to sell below 8000..so i m worried dt now vl it cross d level or not..so plz dnt misguide d poor farmer..if u dont have d proper knowledge..plz dnt mind..peopke still blame dt trader of ganganager..hope so dt dy vl not blame someone else more..
What ever the rate or condition. ultimately the farmer has to take the decision. The batter way to take the decision is to calculate the expenses and add his justified margin and sell it. Why do you listen to me? why do you listen to any one? Take your decision himself/yourself. I don't know from where the figure of 5000, 8000 ,10000,13000 is derived. The farm expenses are farmer's figure and he can calculate it easily. 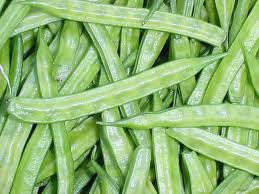 I am sure that the production cost of guar in Rajasthan is lowest in the world. I am not an intelligent person. This is your platform. Keep discussing and share your information and give benefit to other farmers. I will more happy to see more discussion instead of more complements by this way the pages can be useful for farmers in decision making. There are two type of effect of any activity, short term and long term. 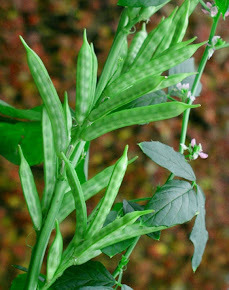 in the short term the end user will find the intimidate substitute of Guar and in long term they will diversify the supply and R&D on other alternate. I am giving you a end use of Guar Gum powder. Please get some empty shampoo bottles to any KABADI ( Scrape collector ) which must be manufactured one year before, you will find guar as an ingredient. 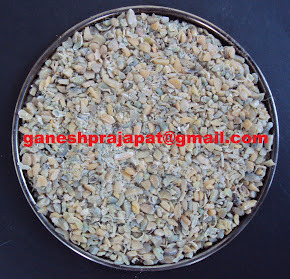 if you will find the new batch of same product and brand you will not find guar as ingredient. Future is not in your control nor in my control but it is sure that it will based on today's activities. As per loose supply is concern. The loose supply will keep the rates down below economic profitability. This article is completely biased and has lot of wrong facts. May u please like to share the source from where u got all the figures? A lot of crop has been destroyed and it will further destroy if there will b no rain till september end. It's not only the quantity of rain important, it's timing is equally imp. Area under guar cultivation went up due to rain in July. Crop in the same area will be at the verge due to no rain in sept. Guar demand was moderate last year and it is same this year. When speculators brought down the guar prices from 10000 to 3000 due to large increase in guar cultivation area, industry was happy. Then same logic should be apply if crop is getting destroyed. A Lot of small processing unit came up in 2012. Majority of them did not honour their contract with buyers as the price was jumping everyday and they were moving to new buyer and ditching the older one to make more money. That has lost the buyer's trust and it is completely against the business ethics. The same industry has been exploiting farmers has it ever thought of farmers and try to spend marginal amount of the profit on the R&D of guar to increase its yield. U should not be worried about farmers because they know how to live in abject poverty. They are used to of getting exploited by the industry, it is high time this industry should get mature and come to the terms with ground reality.